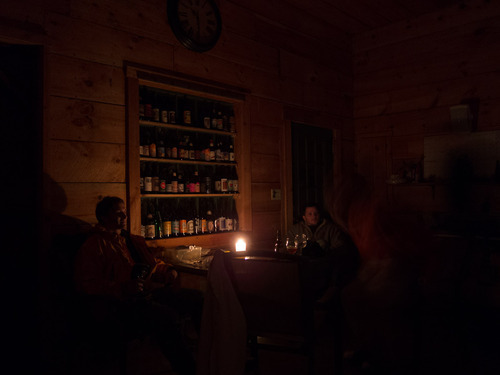 Remembering Snowtober — Tree House Brewing Co. 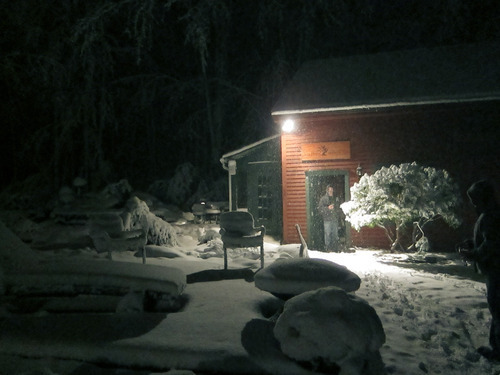 The strongest memories are built on the strongest emotions, and thus the evening of October 29th, 2011 - “Snowtober” - a night when Tree House was in it’s potent infancy, is a night we will certainly never forget. The day started out innocently enough. We had planned, somewhat humorously in hindsight, to brew an old Tree House Pale Ale recipe, “Rapture”. As the day’s events moved along, I instead decided to create a recipe on the fly that would serve as the perfect companion “. . to a night snowed in with friends by a wood stove.” Little did I know how truly prophetic this vision would be. The actual brew was successful. We had a blast carrying out a fresh recipe, as usual, and even threw in a little bit of ceremonious snow for good measure. And here’s Dean showing off the speed at which the snow was accumulating. …but the mood quickly turned ominous when our loved ones began to call us with reports of trees down all over the place. It was scary, they said, but they were on their way. Then another call came in. They had to turn around. The road was blocked and powerlines were strewn about like toys. And then more bad news. They lost power. The weather reports said there was no end in sight for the snow, which by then had accumulated over a foot. Brimfield hung on to power longer than most towns, but when we lost it, we lost it hard. 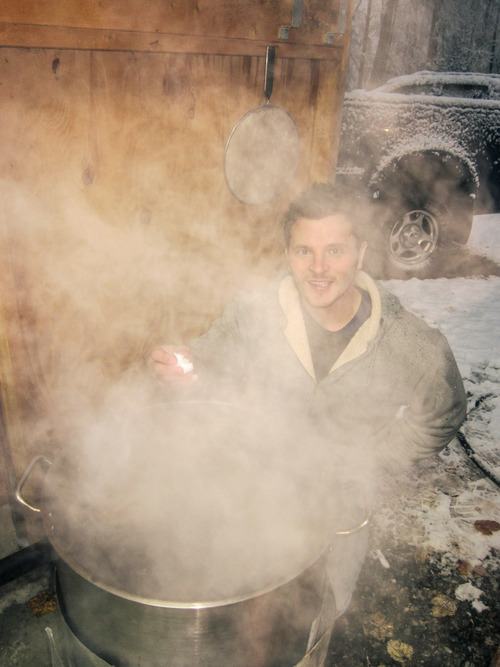 We had to chill the wort in the snow, which, for a beer called Snowtober, was kind of awesome. 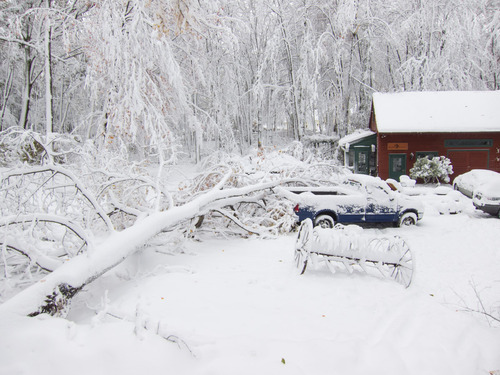 Dean attempted to head home to his family but quickly came back, informing us that a three foot diameter tree was blocking the road - a tree that remained for weeks due to it’s extreme mass. We were in for the night. A long night. Of drinking Hill Farmstead Everett (fitting) and a loot of old bottle of DFH 120. Of playing Jazz with Dean by the wood stove. Of worrying. Or telling war stories of past natural disasters. Of heroic acts from Tree House partners that saved a life. Of coming together acting swiftly with inherent survival instinct. The next day we awoke to the devastation and slowly reunited safely and happily with our loved ones. Trees were broken but our sprits were not. This is the short version of our story. We all have our own stories, now told hearteningly with humor and reverance, and this is just a small part of ours. Strong emotions and strong memories. The building blocks of what makes us human. Tree House just before the storm -> Tree House at 3:00 PM - > Tree House the morning after. Unbelievable. The batch of Snowtober we brewed that day turned out terrible. I still try to diagnose what went wrong every time I crack one of the still existing bottles in Damien’s basement. The good news it that was just the batch. The recipe itself is a winner. 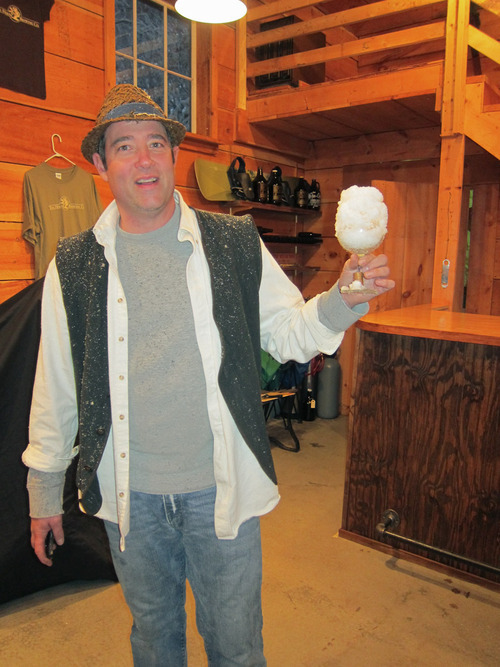 We have served the first few commercial batches of “Snowtober” - our Robust Porter - over the last few weeks to great success. 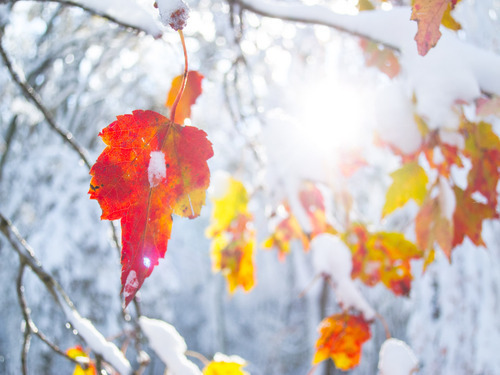 It makes us proud that a profound memory of grief can be turned into something beautiful to be shared for years to come.